Parsnips are one of those veggies. The ones you always see but never bring home. You’re not quite sure what they are or how they taste. And just how do you eat a parsnip, anyway? We’re sorry, parsnips. We just didn’t know how delicious you were. Or how nutritious. 1 parsnip contains 6 grams of fiber, 2 grams of protein, lots of Vitamin C and Vitamin K, folate, potassium, and more. That concludes this afternoon’s PSA. Now that we know all about this impressive veg, and since we have a great go-to recipe, parsnips will be a more regular occurrence around here. 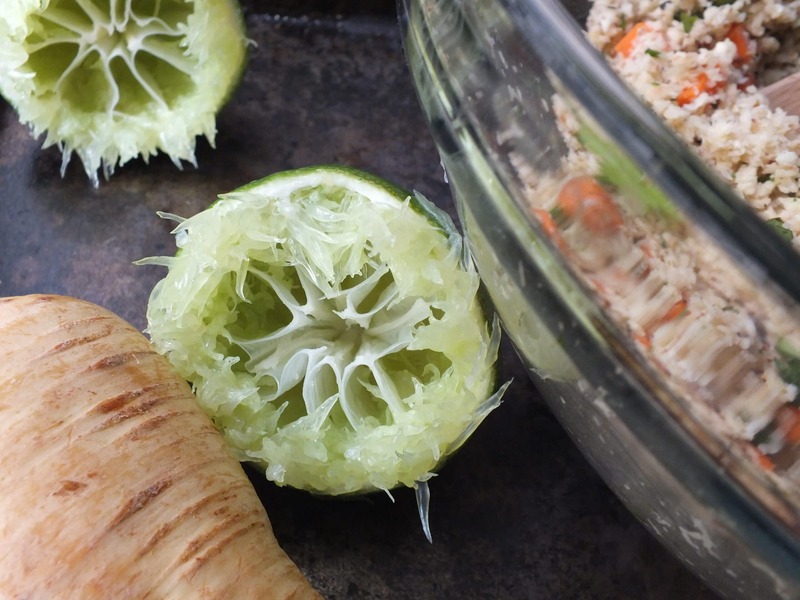 Parsnips have a flavor that is similar to carrots – slightly sweet, which means they pair perfectly with the lime in this recipe. 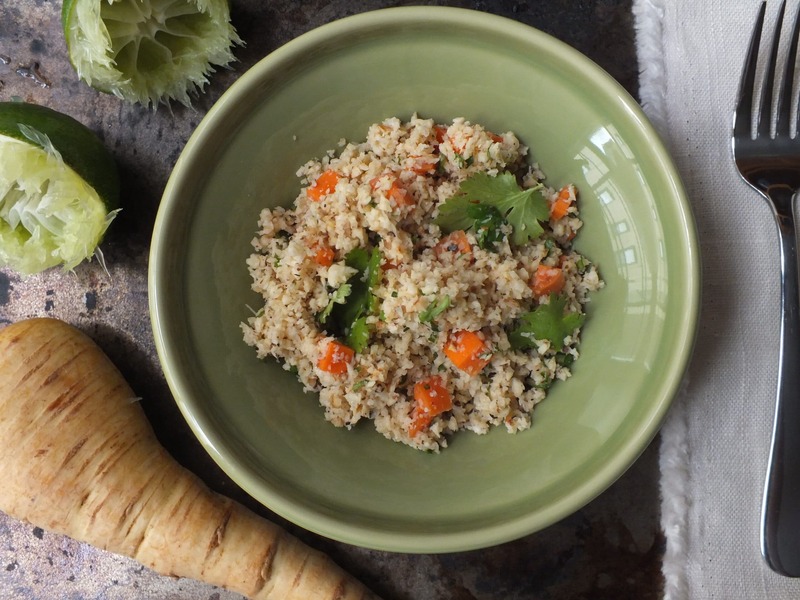 This simple side dish can be whipped up in under 10 minutes with minimal effort. Make extra, because the leftovers make for an easy snack or lunch addition. 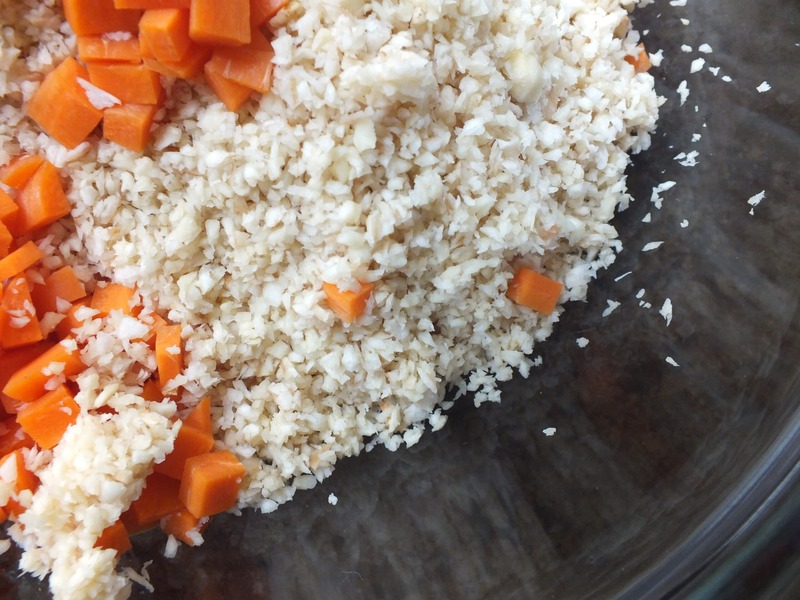 Thoroughly wash the parsnips and carrots. Roughly chop the parsnips and dice the carrots into small pieces. Chop the cilantro finely. Food process the chopped parsnips until their texture looks somewhere between rice and cous cous. 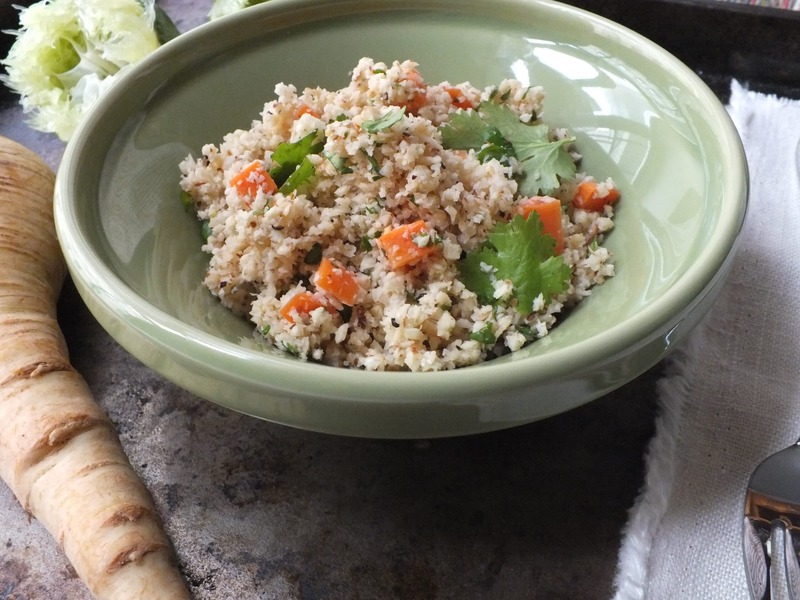 Empty the parsnip “couscous” into a large bowl and add the carrots and cilantro. Food process the almonds until they are finely chopped – stop short of creating a flour out of them. Add the crushed almonds, lime juice, sea salt, and pepper. 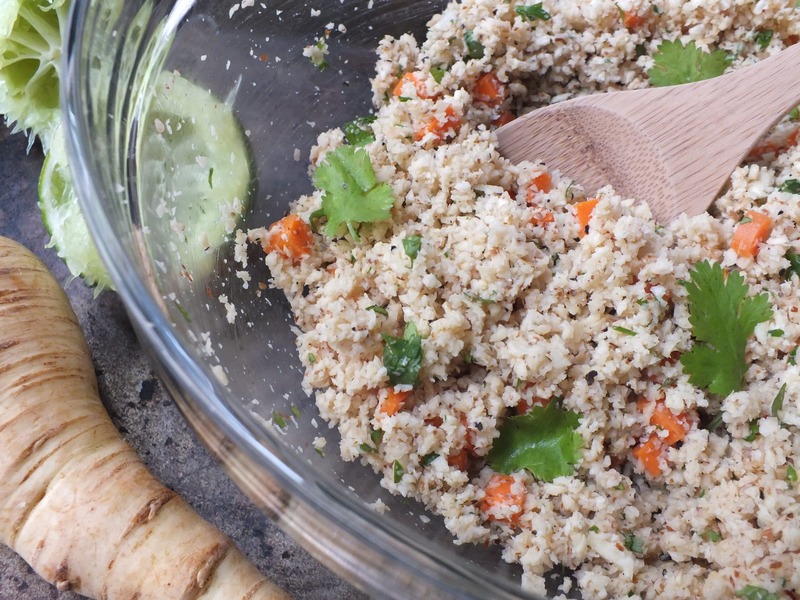 Use a large spoon to mix everything together, then serve it up and enjoy! It would be nice with a more specific measure than “2 large parsnips”. Parsnips can easily grow to weigh more than 2 pounds – I somehow doubt this is the size you mean for a side dish serving 3-4. 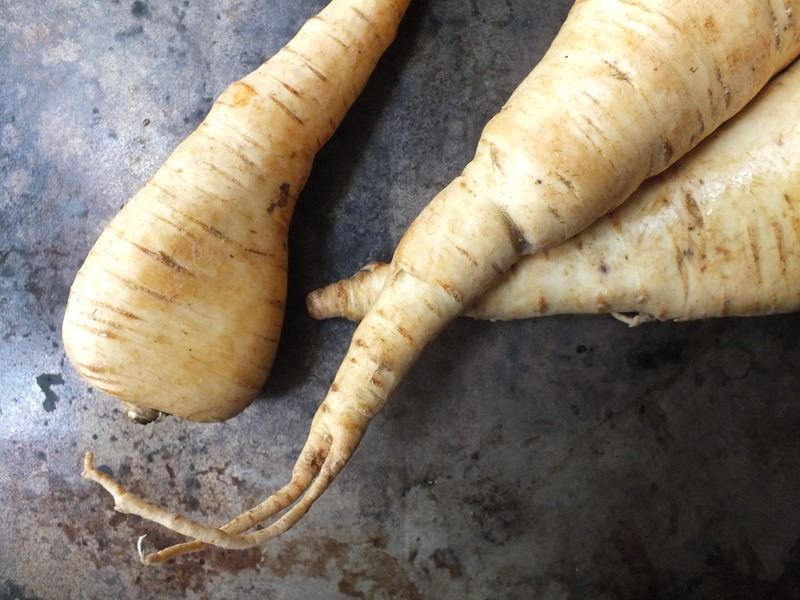 Fair enough – the organic parsnips that we see in Indiana never surpass 6 inches long and about 3/4 pound in weight. That is the size of parsnips that we used for this post.